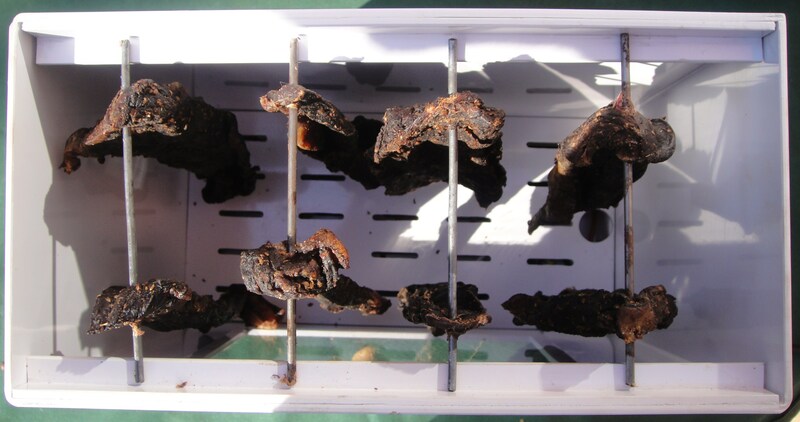 The “BILTONG BUDDY” Home Biltong Maker was first developed and made available in 1995. Our founding father, Kel Malherbe, found that apart from some cardboard biltong making boxes there was nothing really available for people to make their own Biltong. The first “BILTONG BUDDY” Home Biltong Maker was made of a powder-coated mild steel and many of those are still operating today! Today the new “BILTONG BUDDY” Home Biltong Maker is a kitchen appliance made of a rigid ABS (Acrylonitrile Butadiene Styrene) Food processing approved material you will also find in fridges and freezers. The “BILTONG BUDDY” comes fully assembled, only weighs 2.3kg and measures 14x30x28cm. It can take up to 2kg of wet meat at a time. The “BILTONG BUDDY” operates on the principle of air circulation and heat, generated by a specially designed (patented) heating element (110 or 220 volt) situated at the bottom of the machine. The first step is to get some really nice Silverside or Topside. Cut your meat into suitable strips making sure you cut with the grain (also see Hints and Tips). Put the meat into a glass or plastic bowl (not metal) and add the spice. Leave over night in the fridge. The next day pat the meat dry and hang in the Biltong Buddy Home biltong maker and voilà, perfect biltong after 3-4 days! 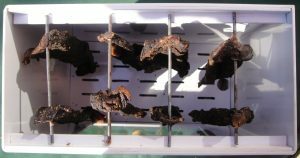 The “BILTONG BUDDY” Home Biltong Maker operates on the principle of air circulation and heat, generated by a specially designed (patented) heating element (110 or 220 volt) situated at the bottom of the machine.